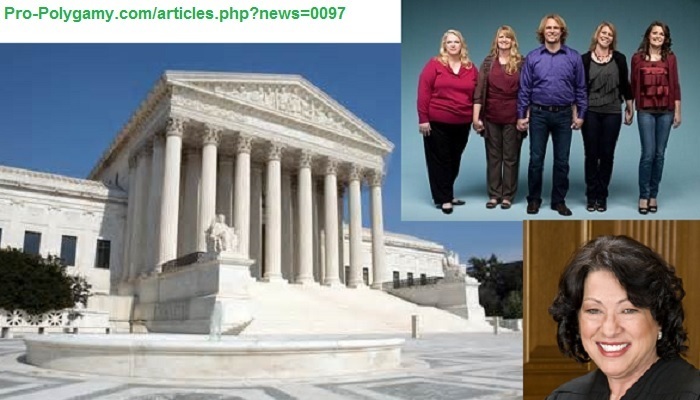 As of August 10, 2016, unrelated consenting adult polygamy (UCAP) was still on track to be heard by the Supreme Court of the United States (SCOTUS) in the Spring of 2017. For background, on April 11, 2016, the Tenth Circuit Court of Appeals in Denver, Colorado, had vacated the previously favorable ("Sister Wives") Brown v. Buhman decision (of 2013). The Tenth Circuit Court determined that the Brown family’s "legal standing" had become moot when the prosecutor had stated they would not pursue the Brown family "for polygamy" - even though the out-dated law remains on the books. As National Polygamy Advocate ™, Mark Henkel, told FOX News, "It was not reversed on the merits of any arguments whatsoever. They refused to hear any arguments at all." The Brown family formally asked for a re-hearing by all of the judges in the entire Tenth Circuit Court of Appeals. On Friday the 13th of May, 2016, the Tenth Circuit denied that "en banc" request. In an email to FOX 13 in Salt Lake City, Utah, the attorney for the Browns, Jonathan Turley, decried the reversal: "At issue is the most basic right in our legal system: the right to be heard in a federal court. The lower court found that the Browns left the state after months of abusive treatment by the government, which denied them basic protections under our Constitution. All families should have access to the courts when targeted by the government in this way." Consequently, with that denial from the appeals court, Brown v. Buhman may now head to the court of last resort, SCOTUS. For that to happen, the Brown family must file a "Writ of Certiorari." The official website, USCourts.gov, explains this procedure, as follows. "Parties who are not satisfied with the decision of a lower court must petition the U.S. Supreme Court to hear their case. The primary means to petition the court for review is to ask it to grant a writ of certiorari. This is a request that the Supreme Court order a lower court to send up the record of the case for review. The Court usually is not under any obligation to hear these cases, and it usually only does so if the case could have national significance, might harmonize conflicting decisions in the federal Circuit courts, and/or could have precedential value. In fact, the Court accepts 100-150 of the more than 7,000 cases that it is asked to review each year." The Brown family filed for an extension of time. On August 3, 2016, Justice Sotomayor of SCOTUS approved the extension of time to file such a Writ of Certiorari by September 10, 2016. After the Browns formally file that petition prior to that deadline next month, the subsequent step will be an official "yay or nay" as to whether SCOTUS is willing to hear the case. The extension itself seems to suggest that that willingness is likely. If so, polygamy will thereafter be officially headed to the Supreme Court in 2017. USCourts.gov site explains "Writs of Certiorari"